Living... in San Francisco as a free man after a three-year prison sentence. Scott’s a small time thief who has stumbled into the heist of a lifetime. Profession... ex-con, ex-Baskin Robbins employee, and ex-regular guy. Now he’s a superhero. He was roped into one more break and enter job to steal some high tech equipment from the Pym residence. 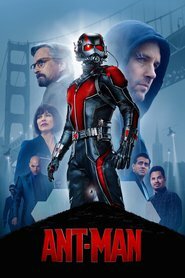 What he finds there is a suit… and Dr. Hank Pym, who chooses him as his successor to don the helmet and costume of Ant-Man. Okay, it’s not the best superhero name, but he can go toe-to-toe with a real life Avenger. The suit allows him to shrink down to the size of an ant and even control swarms of the surprisingly strong pests. Interests… family, friends, and breaking into places and stealing stuff. Relationship Status... divorced with a daughter named Cassie. Scott cares about Cassie more than anything in the world, but since he got locked up, it’s been harder to be a part of her life. He’s trying to turn his life around but it’s not easy. Maybe now that he’s Ant-Man he can make her proud. Challenge... stealing the Yellowjacket armor from Pym Technologies CEO Darren Cross. 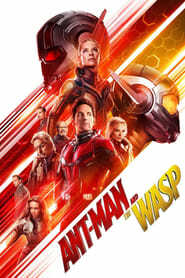 After Hank was forced out of the company, his protégé Cross has become obsessed with perfecting an Ant-Man suit of his own, known as the Yellowjacket model, which he will use for his own ulterior motives. There’s only one man who can stop him: Ant-Man. Personality... charming, sneaky, and brave. He can break his way into anywhere and talk his way out too. Well, most of the time. A good guy who’s made some bad choices, Scott is driven and focused in his quest for redemption. He may have stolen to make enough money to get by, but now he’s fighting for something a lot more important: his family. Scott Lang / Ant-Man's popularity ranking on CharacTour is #149 out of 5,000+ characters. See our top-ranked characters and read their profiles.